I'm looking to add another game and would like to keep both fairly long term. Space is currently limiting me to just two pins. Houdini has proven to be a good fit for my family, but I am having a hard time choosing the next one. I'd appreciate any input! Really depends on what you’re looking for, all of those choices are good depending on what type of second machine you’re looking for. Houdini is tough but you say it works well with the family. Do you want another difficult pin? Are you a competitive player or does the family prefer fun tasks? Or is anyone a big fan of certain themes? In general, the deeper the code, the better for longer lastability in a small collection. Given your options, I'd vote WOZ, Oktoberfest (especially since you like Houdini), or DI. May want to consider Hobbit, BM66, or JJP POTC too. Does it need to be a NIB, or would a Bally/Williams from the 90s work? I would say IMDN is at the bottom simply due to the least family-friendly theme of the bunch. I think that it's a very very fun game but my wife is just not into it. I'd rather get something we will both play. I have a couple of buddies who already own the game, and I can play it at a local bar so that one I could let go. Difficulty-wise we like Houdini and the unique theme is spot on. I have several older games on my wishlist. Finiding a nice Black Rose would be tempting, and I've never owned TSPP. WOZ or SW. both are brutal, yet deep, and filled with many High Adrenalin moments. Both are great for multiplayer too which can help in a small lineup. However, if you’re spending >$7500 I’d say stick to a non stern, so WOZ gets my vote in this case. But what about JJPOTC? I dropped down from 3 games to 1 when we moved, so money is not the deciding factor. I have enough cash in my game fund to cover any reasonable choice. That being said, for a game like MBr I am drawn to the classic edition. There are too many extras on the others that don't appeal to me. I’d say wait until early 2019. There will be some new pins which may change the game. i would get star wars. it's a lot different than houdini, fast paced. deeper game.i would avoid oz and monster bash. I’d say Dialed In. It’s really smooth playing, so it makes it easier to make consistent shots. It just received a new code update that ties in more of the theme and game. My wife, kids and grandkids all love the game. It’s deep with a lot going on. But, not to difficult to understand with a lot of depth. I've gone through a lot a machines, and pretty much every machine I've asked myself "How is the theme? Is it too difficult? Will the family like this?" No matter what I've bought, the family just is NOT into it like I am. I always choose now based on what I want. You save money and have more fun that way. Then If you don’t mind making out of the box minor tweaks; I vote JJPOTC all the way. So much to love about that game with tons of diversity; not just a great overall pin for a home use only environment, but perfect for a small pin lineup. Depth is a myth. A great game will always be a great game. Go for Monster Bash. It’s always fun & has a wonderful ruleset by the master, Lyman Sheats. Depth is a myth. A great game will always be a great game. Go for Monster Bash. It’s always fun &amp; has a wonderful ruleset by the master, Lyman Sheats. Depth is a myth when you own 24 pins if you could only have 2 of your pins for all of 2019, which 2 would they be? Would MB be one of them? Family Friendly? Monster Bash all day long and twice on Sunday. Yes. I’ve had MB for like 10 years and still love it. I like deep games, but not everything needs to be LOTR or TSPP to be fun. Fun and the overall experience of a game isn’t dependent on depth. That’s what I mean by “depth is a myth”. Depth isn’t a measure of fun or replayability for everyone. Woz and/or DI are game changers. BM66, DI collected dust beside it. Kidding aside. You're spot on; Fun and last ability is different from one person to the next. I know people with small collections who've had MB for years and years and years. My advice: Definitely add a JJP pin. From your list I voted for DI. It’s just fantastic. A+ game in my opinion. And family friendly. Another one to consider that’s not on your list is TWD Prem/LE. Tons of last ability, depth, code, and difficulty. A 10 out of 10. May not be for your family though. That’s crazy. Nobody knows if those games will be any good. It’s like telling someone to but Avengers before it was released. Plus Stern can take years for full code. I’d wait and see because if they are great you can always get one after they are released. Dialed In...currently #1 in the poll. Family friendly. Ruleset appeals to a broad spectrum of players. Amazing flow. I owned a beautiful MB for years and love the theme/music/art, but the flow/gameplay doesn't compare to Dialed In. 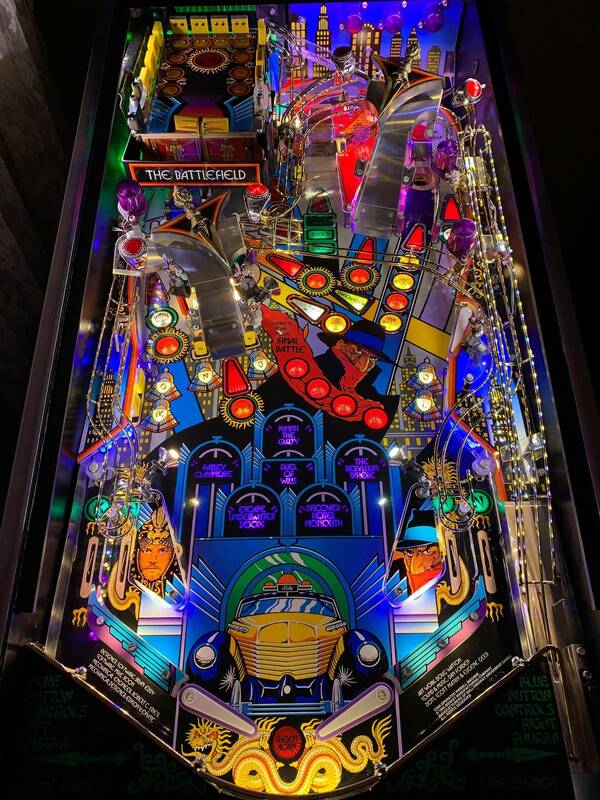 Dialed In is just a luxurious pinball experience. I voted Woz but DI is my second because I prefer the art/theme. But they are 1a and 1b for my vote. AFM remake is also killer. So the strange thing is... I've never actually fully enjoyed playing DI on location but I am guessing some of my gripes could be remedied just by having the game at home and tweaking as needed. This game along with Star Wars is probably near the top of the heap. For you JJP owners, do you generally feel the extras are worth the money for the limited/collector series? 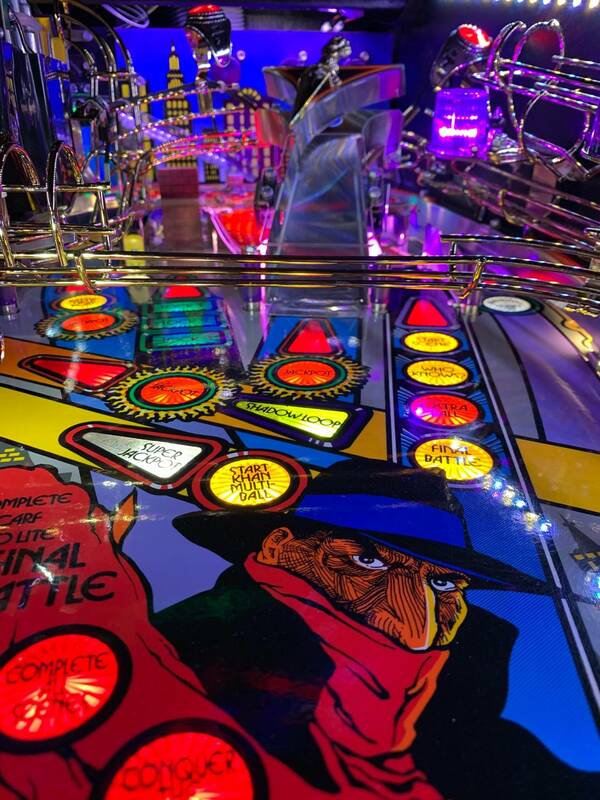 Do you need the pinball machine now? Is there a reason you won’t wait until early 2019, so you can make a decision with more information? Absolutely not... it's already been a while, I can handle the wait. But I would like any thoughts on JJP game tiers. Regarding other suggestions, I've already owned MET and TWD. Both good games but I would not buy them again over something different. I want to like Houdini but the shots are just too tight and way too many brick shots that make it not enjoyable to play. Lots of people wanting the perfect family game. I have found that it is very difficult to try and make everyone happy and often times the amount of plays other family members play compared to you is 1/10 plays. Whoever the main pinball player in the house is should determine what game to buy next. I have seen lots of people buy a game for the wife or kids just to have them not play it when it arrives(this has happened to me). I now buy games I want and they may or may not play them. Out of the games on your radar I would say Star Wars Premium/LE or a Oktoberfest (But would recommend playing first). Star Wars is a difficult, fast flowing game that keeps you on your toes. The orchestrated music is fabulous and helps re-kindle those Star Wars memories from your youth-the theme goes a long way. Oktoberfest looks like a really fun game, but I want to play it at least a dozen times before I can have an opinion on it. Dialed IN is a great flowing table with a fantastic layout, I just can't seem to get into it-due to theme. MBR is a classic game that has a basic rule set and great layout, and at the price of a standard is a great bang for your buck. IMDN is a great playing game but again theme and horrid music kill it for me. Everyone has different taste, play games on location and decide what one you want to keep pushing the start button on-that is your next machine. Alien is an incredibly fun game if you can locate one. Just looked at your wishlist- no brainer go with GOT pro, Shadow, or Black Rose-all excellent games and already wanted. Also noticed you already own Houdini-dump the brick fest and go buy a MBR with the monies. 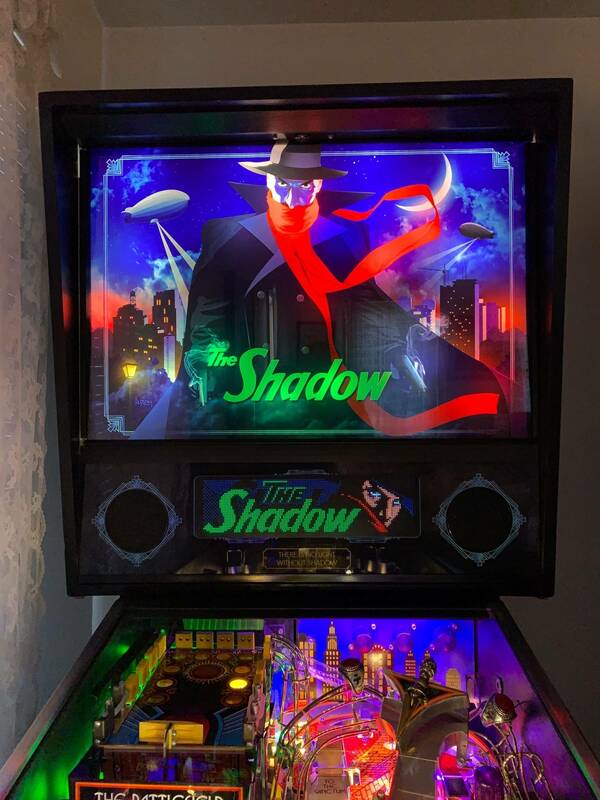 Yes if you are open to going other than NIB, I highly recommend Shadow (I’m biased as I own one) there are lots of fun toys, with plenty to do, and balanced scoring. Will do! Was thinking... I enjoy GOT pro, but there isn’t really one thing that GOT pro does better than Shadow that would make me lean that way. Perhaps picking houses to alter gameplay. ToTAN. Beautiful game, easy rule set to follow, arguably one of the best theme/artwork/sound integration packages ever created. Maybe it doesn't pass your "depth" test, but not everyone wants to put on a diving suit to play a game. I've walked away from LOTR on location more than once out of sheer boredom after chopping wood for 20 minutes with no end in sight. MB and ToTAN will be two of the last games standing when I trim the herd one day. Both are fun, great sound and artwork, easy enough for beginners and fun for better players too. On JJP games, “limited” doesn’t mean anything - it’s just the normal run of games. “Standard” removes a few things and the price isn’t that different, so might as well just go for the limited. Collector is just a cash grab. Don’t fall for it. Totally unnecessary & zero added value. I also recommend shadow. You could buy 2 or 3 “cheaper” 90s pins instead of one new pin. Just an idea. What did you go with? I definitely appreciate the feedback. Right now my top choices that both my wife and I can agree on are 1) Star Wars premium, 2) wait and see about Munsters. I'm also still considering Dialed In or JJPOTC, but those do not appeal to my wife. Finally got to play DI in a home setting, and I can see what all the fuss is about. Mind changed, DI is now #1 choice but I am also considering another B/W classic such as TZ. Pirates is also a fun game, but personal preference I don't really care for upper playfields or action buttons. I agree. Didn’t really know why people loved DI so much until I played it. Other way around for me - didn't really understand why some seem to love DI so much once I played it. ATTACK FROM MARS - Backboard Decal Mod! A MUST HAVE!